The inaugural “Augusta National Invitation Tournament” first took place in 1934. 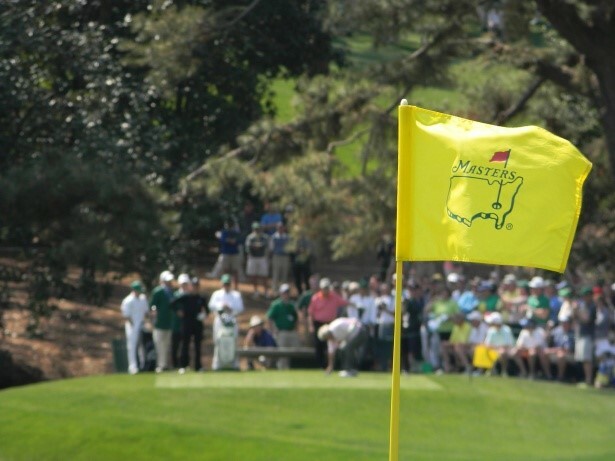 Today, it’s known as the Masters Tournament and it’s evolved into a truly iconic spectacle. We reflect on the history of this prestigious tournament, from its early years right through to its current position as one of the premier events on the world sporting calendar. This is 85 years of the Masters Tournament. The great amateur Bobby Jones was co-founder of Augusta National Golf Club. He and Wall Street banker Clifford Roberts had the foresight to turn 365-acres of an old indigo plantation into what would become arguably the world’s most recognisable golf course. Jones worked with renowned British course architect Dr Alister MacKenzie to design the layout and what they created was rather special. Thereafter, Jones became the public face of the club and his fame was central to the growing success of the early invitational tournaments, hosted annually at Augusta. The first of those took place in 1934 and was called the Augusta National Invitation Tournament. It was not until 1939 the event became known as “The Masters.” Although he’d retired from competitive golf, Jones did play in the inaugural invitational tournament of 1934. He finished 13th as Horton Smith took the victory. The subsequent Masters tournament in 1935 witnessed one of the most famous shots in golf’s history, as Gene Sarazen holed a 4-wood from 235 yards on the 15th hole for an albatross two. It was a shot that Sarazen claimed could be heard “’round the world”, cleverly alluding to the start of the American War of Independence in 1775. He went on to win in an 18-hole playoff against Craig Wood. The great Byron Nelson won the Masters Tournament in 1937 and again in 1942 – the last time the event was held before a four-year hiatus owing to World War II. Americans dominated the tournament in its first 25 years and from 1946 to 1960, players from the USA won every instalment of The Masters. Sam Snead was three times a winner and Ben Hogan took the title twice. In 1953, Hogan won at Augusta before going on to claim the U.S. Open and The Open Championship in the same year. He might have completed the Grand Slam that season, but for the fact that he didn’t return from Britain in time for the start of the USPGA Championship. In 1958, fan-favourite Arnold Palmer won the first of his four Masters, and seven Major titles. His performance triggered increased public interest in golf and The Masters. The emergence of “Arnie’s army” ushered in a new era for the game, as Mark McCormack and his agency IMG signed and promoted three players who would go on to become household names – Arnold Palmer, Jack Nicklaus and Gary Player. Between 1960 and 1980, Player, Palmer and Nicklaus won no fewer than 11 Masters titles between them. During those two decades the “big three” racked up an astonishing 37 top-10 Masters finishes. South African golfer Player was the first overseas golfer to win the Masters Tournament when he triumphed in 1961. He was also victorious in 1974 and 1978. During the 1970s, Nicklaus never finished outside the top-10 at Augusta. And the Golden Bear claimed one more Masters win, in a last hurrah as a 46-year-old in 1986. Palmer won an incredible three Masters titles in five seasons between 1960 and 1964. During this period, he won 29 PGA Tour events. In 1980, Spanish sensation Seve Ballesteros became the first European to don a green jacket. This and his second victory in 1982 heralded a new, international era for the tournament. Germany’s Bernhard Langer won in 1985 and 1993, Sandy Lyle of Scotland was the first British champion in 1988 and his success was quickly followed by Sir Nick Faldo who won twice consecutively in 1989 and 1990 and won for a third time in 1996. Ian Woosnam of Wales made it four straight British winners in 1991 and José María Olazábal’s victories in 1994 and 1999 meant European players had won 11 of the 20 tournaments through the 1980s and 90s. Just before the turn of the century, Tiger Woods announced his arrival as a ‘Major’ force, winning the 1997 tournament by a record 12 shots. He also won in 2001, 2002 and 2005. Tiger’s great rival Phil Mickelson has been one of the most successful players at the Masters in recent years, winning three times since 2004. Other than Woods and Mickelson, this century has seen a broader spectrum of winners at Augusta and a far more international roster of champions. Since 2000, golfers from nine different countries have donned the green jacket – Vijay Singh of Fiji, Mike Weir of Canada, Angel Cabrera from Argentina, South Africans Trevor Immelman and Charl Schwartzel, Australia’s Adam Scott, our own Danny Willett and Spain’s Sergio Garcia have all tasted Major glory at Augusta. These results are a clear and gratifying indication of golf’s globalisation over the last few decades. The Masters Tournament has come a long way since it was first hosted in 1934. At that time, a select group of American players, at the behest of the great Bobby Jones, contested an exclusive invitational event on a newly constructed and then little-known course in Augusta, Georgia. This year, the eyes of the sporting world will once again focus on the pristine Augusta National, as the greats of the game do battle over its famous fairways, past the pines and azaleas, creeks and pine straw. Will 2019 witness another new champion or will one of the veterans come through victorious? We’ll find out on April 14th!